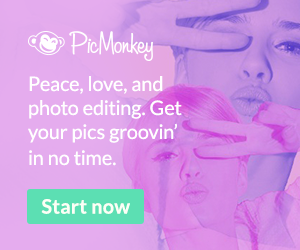 I was so excited when Tanya of Cornbread and Honey reached out to me to collaborate! 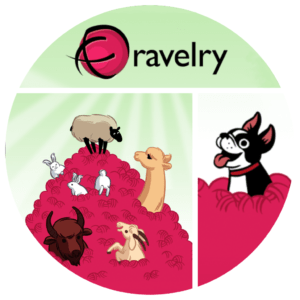 Tanya is an indie yarn dyer who has everything from fade kits to custom colorways to gradient cakes! She sent me a cake of gradient yarn to play with and from it came the Sweet Tea Shawl! The name of her shop Cornbread and Honey reminded me of another southern delicacy (at least to us southerners), sweet tea! Which is how I got the name for the design! 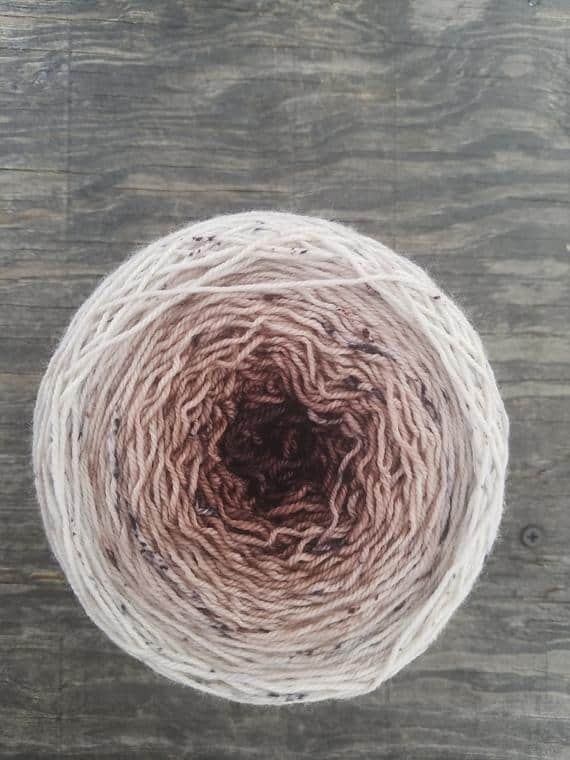 Tanya sent me this beautiful cake of gradient speckled brown yarn. It started off with a very dark, saturated brown and eventually turned into a very gorgeous speckled cream. This yarn was such fun to work with! 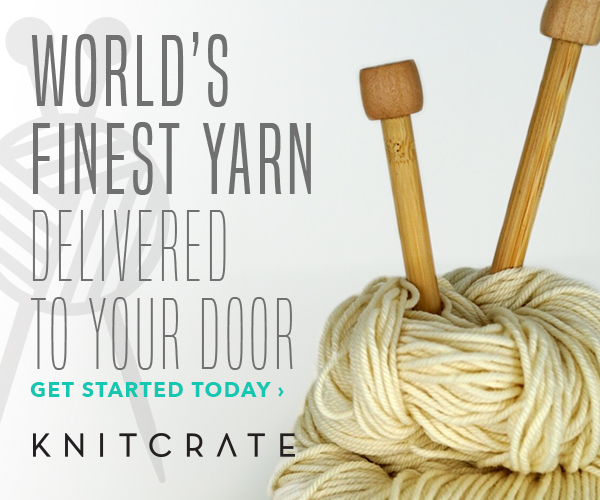 It was a cake of 656 yards of sport weight yarn. 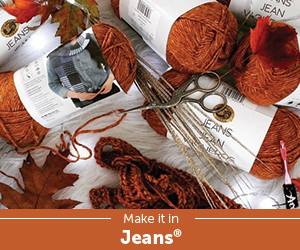 The fiber is 80% super wash merino and 20% nylon. I absolutely love this fiber combo because the merino is so very soft, but the little bit of nylon gives it some sturdiness and makes it smooth on my hook and easy to work with. With the nylon I didn’t run into any pilling or splitting, which was so nice. I wet blocked my shawl after I completed it and the drape was SO amazing afterwards! This yarn is seriously one of the best yarns I’ve every tried! 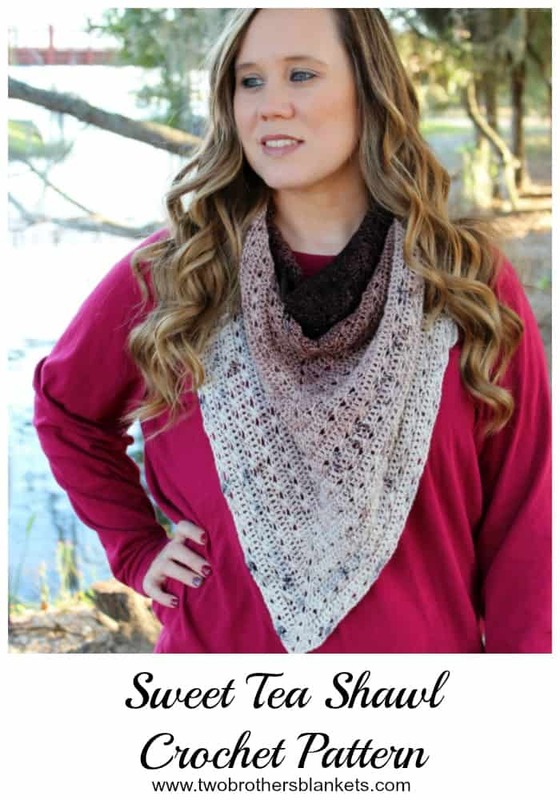 The Sweet Tea Shawl is a triangle shawl that starts small and increases as you go. 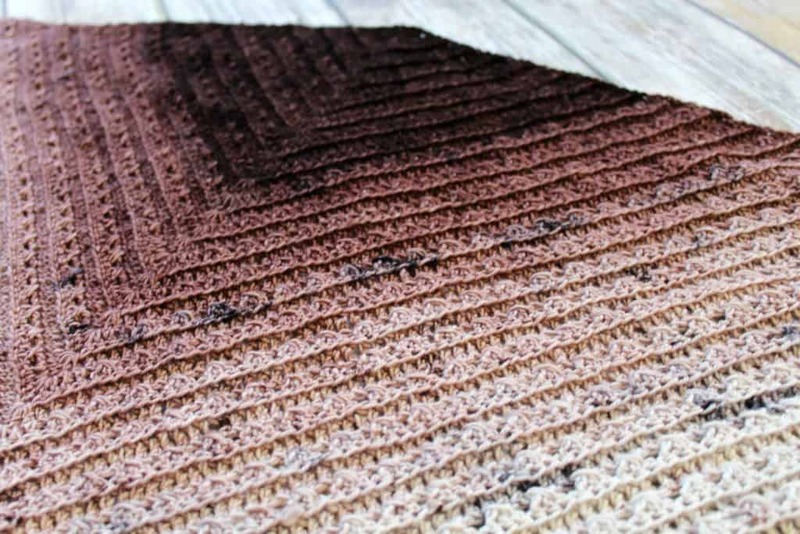 This shawl uses basic stitches, but the combination of them creates a stunning look! This is one of those patterns that doesn’t require gauge and that you can make as big or as small as you like! I love to wear it as a scarf around my neck but you can also make it large enough to wear over your shoulders. I am so happy to have gotten the opportunity to try Tanya’s yarn. It is truly stunning and I plan on purchasing more! 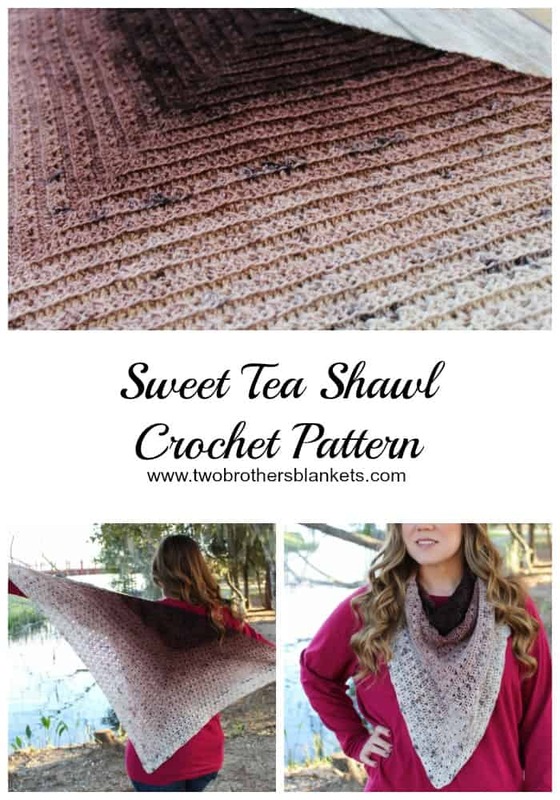 Now through Sunday, January 27th you can use coupon code TWOBBCBH at checkout to get 50% off the Sweet Tea Shawl crochet pattern! Grab the pattern HERE! You can use the very same code to get 20% off any yarn in the Cornbread and Honey shop! She even has the exact yarn I used for the Sweet Tea Shawl, as well as other gradients! This yarn is worth every penny! Next PostNext Being an Independent Pattern Designer!